1. Limited License; Use of Services. This agreement (hereinafter, the “Agreement”) between Diabetes Strong, (hereinafter, “Diabetes Strong”, “us” or “we”) and you sets forth the terms and conditions which govern your use of any of the Diabetes Strong or Diabetes Strong sponsored websites (hereinafter, the “Sites”) and/or the services (hereinafter, the “Services”) thereon which are provided by Diabetes Strong. PLEASE READ THIS AGREEMENT CAREFULLY BEFORE ACCESSING OR USING ANY OF THE SITES AND/OR SERVICES. BY ACCESSING OR USING THE SITES AND/OR SERVICES, YOU AGREE TO BE BOUND BY THE TERMS AND CONDITIONS SET FORTH BELOW. IF YOU DO NOT WISH TO BE BOUND BY THESE TERMS AND CONDITIONS, YOU MAY NOT ACCESS OR USE THE SITES OR SERVICES AND SHOULD IMMEDIATELY CEASE SUCH USE. DIABETES STRONG MAY MODIFY THIS AGREEMENT AT ANY TIME, AND SUCH MODIFICATIONS SHALL BE EFFECTIVE IMMEDIATELY UPON NOTICE, WHICH MAY BE ACCOMPLISHED BY POSTING THE MODIFIED AGREEMENT ON THE SITE OR VIA EMAIL. YOUR USE OF ANY OF THE SITES AND/OR SERVICES FOLLOWING SUCH NOTICE SHALL BE DEEMED YOUR ACCEPTANCE OF SUCH CHANGES. YOU AGREE TO REVIEW THE AGREEMENT PERIODICALLY TO BE AWARE OF SUCH MODIFICATIONS AND YOUR CONTINUED ACCESS OR USE OF THE SITE AND/OR THE SERVICES SHALL BE DEEMED YOUR CONCLUSIVE ACCEPTANCE OF THE MODIFIED AGREEMENT. IF WE REQUEST, YOU IRREVOCABLY AGREE TO SIGN A NON-ELECTRONIC VERSION OF THIS AGREEMENT. n. use the Sites and/or the Services for any purpose that is unlawful or prohibited by these terms and conditions. You may not use the Site or the Services in any manner that could damage, disable, overburden or impair Diabetes Strong’s servers or networks, or interfere with any other user’s use and enjoyment of the Sites and/or the Services. Furthermore, you may not attempt to gain unauthorized access to any of the Sites, Services, accounts, computer systems or networks connected to Diabetes Strong through hacking, password mining or any other means. You may not obtain or attempt to obtain any materials or information through any means not intentionally made available through the Sites or the Services. Diabetes Strong allows posting of comments on its Sites. Any user failing to comply with the terms and conditions of this Agreement may be expelled from and refused continued access to, the ability to post comments in the future. Diabetes Strong or its designated agents may remove or alter any user-created content at any time for any reason. Information and content posted within these public forums may be provided by Diabetes Strong staff, Diabetes Strong’s outside contributors, or by users not connected with Diabetes Strong, some of whom may employ anonymous user names. Diabetes Strong expressly disclaims all responsibility and endorsement and makes no representation as to the validity of any opinion, advice, information or statement made or displayed in these forums by third parties, nor are we responsible for any errors or omissions in such postings, or for hyperlinks embedded in any messages. Under no circumstances will we, our affiliates, suppliers or agents be liable for any loss or damage caused by your reliance on information obtained through these posted comments. The opinions expressed in these comments are solely the opinions of the participants, and do not reflect the opinions of Diabetes Strong or any of its subsidiaries or affiliates. Diabetes Strong has no obligation whatsoever to monitor any of the content or postings on the comment section on the Sites. However, you acknowledge and agree that we have the absolute right to monitor the same at our sole discretion. In addition, we reserve the right to alter, edit, refuse to post or remove any postings or content, in whole or in part, for any reason and to disclose such materials and the circumstances surrounding their transmission to any third party in order to satisfy any applicable law, regulation, legal process or governmental request and to protect ourselves, our clients, sponsors, users and visitors. 5. Accounts, Passwords and Security. If any of the Sites or Services require you to open an account, you must complete the registration process by providing Diabetes Strong with current, complete and accurate information, as prompted by the applicable registration form. You acknowledge that by providing any information to Diabetes Strong which is untrue, inaccurate, not current or incomplete, Diabetes Strong reserves the right to terminate this Agreement and your continued access and use of the Sites and/or the Services. As part of the registration process, you may be asked to select a username and password. You are entirely responsible for maintaining the security and confidentiality of your account and password. FURTHERMORE, YOU ARE ENTIRELY RESPONSIBLE FOR ANY AND ALL ACTIVITIES AND CONDUCT, WHETHER BY YOU OR ANYONE ELSE, THAT ARE CONDUCTED THROUGH YOUR ACCOUNT. You agree to notify Diabetes Strong immediately of any unauthorized use of your account or any other breach of security. Diabetes Strong will not be liable for any loss that you may incur as a result of someone else using your password or account, either with or without your knowledge. However, you may be held liable for any losses incurred by Diabetes Strong or another party due to someone else using your account or password. The Digital Millennium Copyright Act of 1998 (the “DMCA”) provides recourse for copyright owners who believe that material appearing on the Internet infringes their rights under the U.S. copyright law. If you believe in good faith that materials hosted by Diabetes Strong infringe your copyright, you, or your agent may send to Diabetes Strong a notice requesting that the material be removed or access to it be blocked. Any notification by a copyright owner or a person authorized to act on its behalf that fails to comply with requirements of the DMCA shall not be considered sufficient notice and shall not be deemed to confer upon Diabetes Strong actual knowledge of facts or circumstances from which infringing material or acts are evident. If you believe in good faith that a notice of copyright infringement has been wrongly filed against you, the DMCA permits you to send to Diabetes Strong a counter-notice. All notices and counter notices must meet the then current statutory requirements imposed by the DMCA; see http://www.loc.gov/copyright for details. NEITHER DIABETES STRONG NOR ITS DIRECTORS, OFFICERS, EMPLOYEES, CONTRACTORS, AGENTS OR SPONSORS ARE RESPONSIBLE OR LIABLE TO YOU OR ANYONE ELSE FOR ANY LOSS OR INJURY OR ANY INDIRECT, INCIDENTAL, CONSEQUENTIAL, SPECIAL, EXEMPLARY, PUNITIVE OR OTHER DAMAGES UNDER ANY CONTRACT, NEGLIGENCE, STRICT LIABILITY OR OTHER THEORY ARISING OUT OF OR RELATING IN ANY WAY TO (i) THE USE OF OR INABILITY TO USE THE SITES OR THE SERVICES; (ii) ANY CONTENT CONTAINED ON THE SITES AND/OR THE SERVICES; (iii) STATEMENTS OR CONDUCT POSTED OR MADE PUBLICLY AVAILABLE ON THE SITES AND/OR THE SERVICES; (iv) ANY PRODUCT OR SERVICE PURCHASED OR OBTAINED THROUGH THE SITES; (v) ANY ACTION TAKEN IN RESPONSE TO OR AS A RESULT OF ANY INFORMATION AVAILABLE ON THE SITES OR THE SERVICES; (vi) ANY DAMAGE CAUSED BY LOSS OF ACCESS TO, DELETION OF, FAILURE TO STORE, FAILURE TO BACK UP, OR ALTERATION OF ANY CONTENT ON THE SITES OR THE SERVICES, or (vii) ANY OTHER MATTER RELATING TO THE SITES AND/OR THE SERVICES. IN NO EVENT SHALL DIABETES STRONG ‘S TOTAL LIABILITY TO YOU FOR ANY AND ALL DAMAGES, LOSSES, AND CAUSES OF ACTION (WHETHER IN CONTRACT, TORT [INCLUDING, BUT NOT LIMITED TO, NEGLIGENCE], STATUTORY, OR OTHERWISE) EXCEED THE AMOUNT PAID BY YOU, IF ANY, FOR USING ANY OF THE SERVICES OR THE SITES. THIS SITE IS CONTINUALLY UNDER DEVELOPMENT AND DIABETES STRONG MAKES NO WARRANTY OF ANY KIND, IMPLIED OR EXPRESS, AS TO ITS ACCURACY, COMPLETENESS OR APPROPRIATENESS FOR ANY PURPOSE. IN THAT REGARD, DEVELOPMENTS IN MEDICAL RESEARCH MAY IMPACT THE HEALTH, FITNESS AND NUTRITIONAL ADVICE THAT APPEARS HERE. NO ASSURANCE CAN BE GIVEN THAT THE ADVICE CONTAINED IN THIS SITE WILL ALWAYS INCLUDE THE MOST RECENT FINDINGS OR DEVELOPMENTS WITH RESPECT TO THE PARTICULAR MATERIAL. You agree to indemnify, defend, and hold Diabetes Strong and its subsidiaries, affiliates, officers, directors, agents, co-branders or other partners, employees, and representatives harmless from and against any and all claims, damages, losses, costs or expenses (including reasonable attorneys’ fees and disbursements) which arise directly or indirectly out of or from (i) your breach of this Agreement, (ii) any allegation that any materials that you submit to Diabetes Strong or post on any forums (e.g., support groups, chat rooms) infringe or otherwise violate the copyright, trade secret, trademark or other intellectual property rights of a third party, and (iii) your access or use of the Sites and/or the Services. This Section 17 shall survive in the event this Agreement is terminated for any reason. 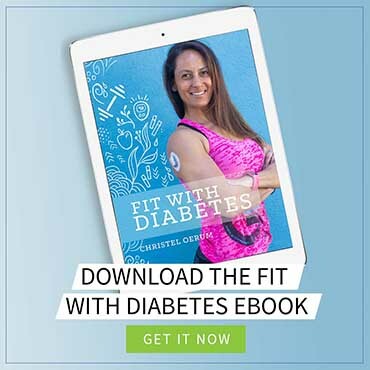 Diabetes Strong makes no representation or warranty that the content and materials on the Sites and/or the Services are appropriate or available for use in locations outside the United States. Those who choose to access the Sites or use the Services from other locations do so on their own initiative and at their own risk, and are responsible for compliance with local laws, if and to the extent applicable. Diabetes Strong reserves the right, at any time in our sole discretion, to limit the availability and accessibility of the Sites and/or the Services to any person, geographic area, or jurisdiction we so desire, and to limit the quantities of any such Service or products that we provide. This Agreement shall remain effective until terminated in accordance with its own terms and conditions. You agree that Diabetes Strong, in its sole discretion, may terminate your password, account (in whole or in part), or use of the Sites or Services, and remove and discard any content within the Sites, at any time and for any reason. You agree that any actions taken under this Section 12 may be effective without prior notice to you. In the event of termination, however, those Sections in this Agreement which provide for continuing obligations on your part shall survive indefinitely. This Agreement constitutes the entire agreement and understanding between you and Diabetes Strong and governs your use of the Sites and the Services, superseding any prior agreements between you and Diabetes Strong. This Agreement and the relationship between you and Diabetes Strong shall be governed by and construed in accordance with the laws of the State of California, without regard to its conflict of law provisions. You and Diabetes Strong irrevocably agree to submit to the personal and exclusive jurisdiction of the federal and state courts located within the county of Los Angeles, in the State of California, and waive any jurisdictional, venue, or inconvenient forum objections to such courts. The failure of Diabetes Strong to exercise or enforce any right or provision of this Agreement shall not constitute a waiver of such right or provision. If any provision of this Agreement is found by a court of competent jurisdiction to be unlawful, void or for any reason unenforceable, then that provision shall be deemed severed herefrom and shall not affect the validity and enforceability of any remaining provisions. The section titles in this Agreement are for convenience purposes only and have no legal or contractual effect. This Agreement is not assignable, transferable or sub-licensable by you except with our prior written consent. However, we may assign this Agreement to any third party whom we choose without your consent. No waiver by Diabetes Strong of any breach or default hereunder shall be deemed a waiver of any preceding or subsequent breach or default.